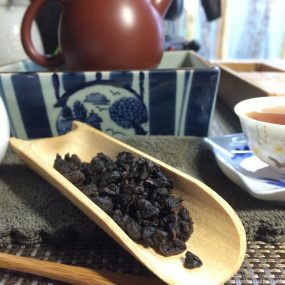 Formosa (‘Beautiful’) was the Portuguese name for Taiwan, the ‘youngest’ oolong region. Tea produced there is as sublime as the landscape of mist-shrouded mountain peaks amid which it grows. 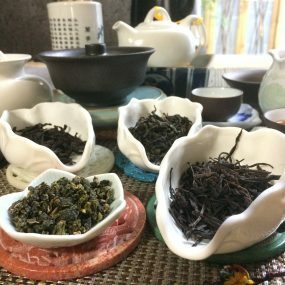 Formosa oolongs exude a distinctive, floral ‘green fragrance’ (qing xiang) which is a result of low oxidation. Higher slopes yield higher grade tea. More cloud cover makes for slower leaf growth and more potency in the tea with higher concentrations of essential oils. Each spring, harvesting by hand begins in low hillside gardens and moves gradually up the mountain; in the winter, this process is reversed. After oxidising to about 20%, the leaves (each a triple leaf cluster attached to a stem) are rolled and gently roasted to bring out their sweetness. 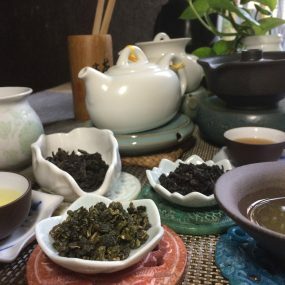 Spring oolongs are rich, creamy, intense and floral with hints of citrus. 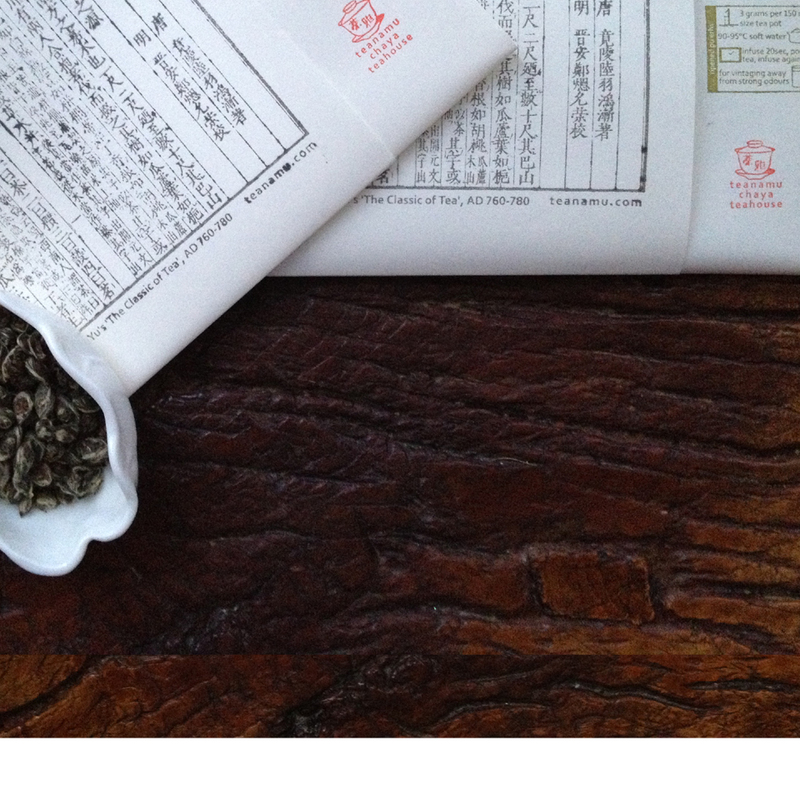 Winter Formosa oolongs are initially lighter but more aromatic and bright with a smoother and thicker mouthfeel.